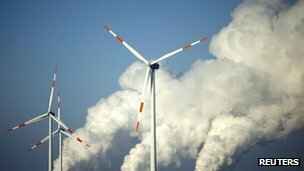 Sir Brian Hoskins, the head of climate change at the UK-based Royal Society, said the figure should “jolt governments into action”. But BBC environment analyst Roger Harrabin said the EU was backing off the issue, and cheap fossil fuels looked attractive to industries. The laboratory, which sits on the Mauna Loa volcano, feeds its numbers into a continuous record of the concentration of the gas stretching back to 1958. Ministers in the UK have claimed global leadership in reducing CO2 emissions and urged other nations to follow suit. But the official Climate Change Committee (CCC) last month said that Britain’s total contribution towards heating the climate had increased, because the UK is importing goods that produce CO2 in other countries. The last time CO2 was regularly above 400ppm was three to five million years ago – before modern humans existed. Professor Sir Brian Hoskins, director of the Grantham Institute for Climate Change at Imperial College London, said a greater sense of urgency about tackling climate change was needed. “Before we started influencing the amount of carbon dioxide in the atmosphere, over the last million years it went between about 180 and 280 parts per million,” he said. “Now, since the Industrial Revolution and more in the last 50 years, we’ve taken that level up by more than 40% to a level of 400 and that hasn’t been seen on this planet for probably four million years. “But around the world, there are things happening, it’s not all doom and gloom,” he added. China’s plan for 2011-2015 includes reversing the damage done by 30 years of growth and increasing the use of renewable energy.